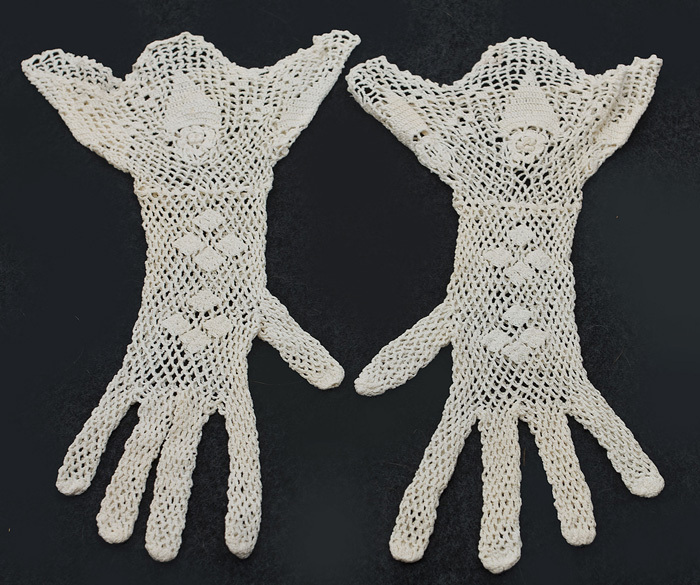 The gloves are hand crocheted from ivory cotton yarn. 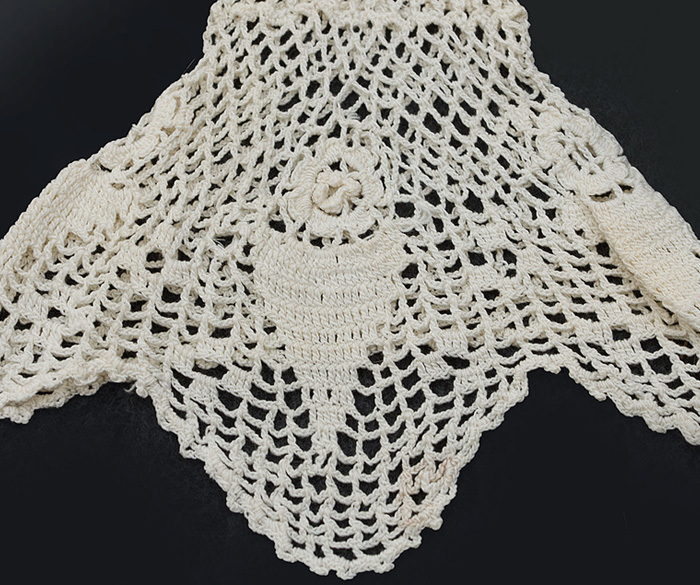 The wide gauntlet-style cuffs feature Irish crochet roses. The condition is excellent. The gloves are clean and ready to wear.